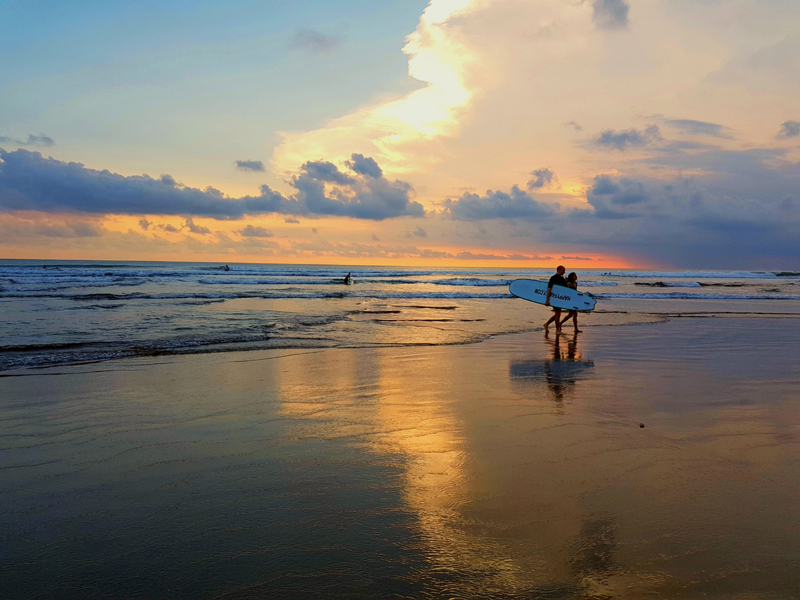 Sunrise to sunset the beach at Kuta in Bali has surfers out catching 'that wave'. A long, long beautiful stretch of sandy beach stretches along the waterfront for all to enjoy. 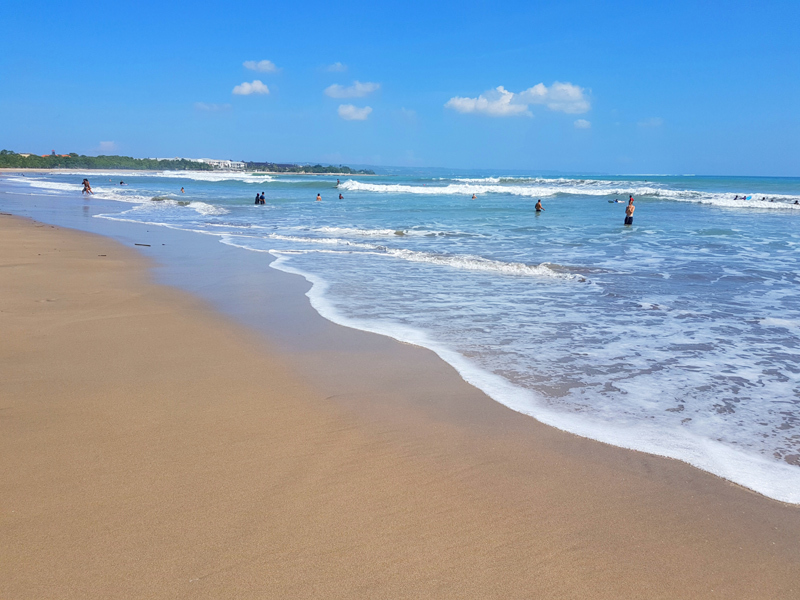 Some of Balis best waves are found at Kuta beach, and there is no shortage of locals and visitors enjoying them. All along the beach you can rent boards and get surf lessons, give it a try its fantastic fun.